We’ve all heard myths about fundraising. These often lead us to do the exact opposite of what we should be doing to raise money. We’ll be running a twelve part series de-bunking fundraising myths to take a close look at these false assumptions about giving. This is the first of the series and we will run one each month (if you can’t wait to a year to read all of them you can purchase the book Beyond Fundraising: A Complete Guide to Congregational Stewardship and read them in Chapter 1: The Spiritual Roots of Stewardship). 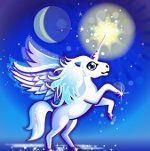 Just because people say that it is true and have repeated it over time does not mean that it is the truth much like the existence of unicorns. As always, we encourage you to leave comments. Myth: Those in low-income households don’t have money to contribute, so they offer their time instead. Truth: The myth that people contribute money or time has been disproved. Recent research by Ian Evison, formerly of the Alban Institute, shows that, in general, financial contributions follow an investment of time. Those who give more time also give more money. In addition, anecdotal observations by fundraising consultants indicate that people with limited income often contribute a higher percentage of that income than those with larger incomes. This myth also relates to fundraising with young adults. Anecdotally, I often hear that folks their 20s are not asked to pledge. I suspect this is because canvassers think they have little to give–they are in college or the military, have yet to settle down, etc. The reality is that they often are willing to give if asked. The ask affirms that they are wanted and needed members of the community and it will likely lead to greater giving in the future.